It is often the simple things that I enjoy the most. never ceases to bring a smile to both of our faces. 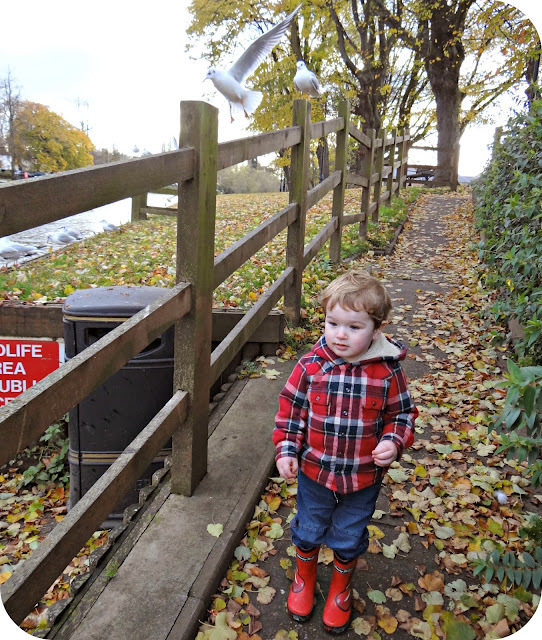 and popping down to feed the ducks. Holding Leo's hand as he throws in entire pieces of bread at the awaiting birds. Holding his hand that little bit tighter when he get's too excited. as the geese and swans are now jumping onto the path. Slowly backing away from the cheeky swan's as they get to close for comfort. Warning Leo that they could bite and getting him to throw faster still. Watching Leo as he doesn't heed the warnings and continues to smile and laugh. Pulling Leo further back so that there is a little more distance between us and...them. Smiling at Leo smiling and watching him enjoy our mishap adventure. 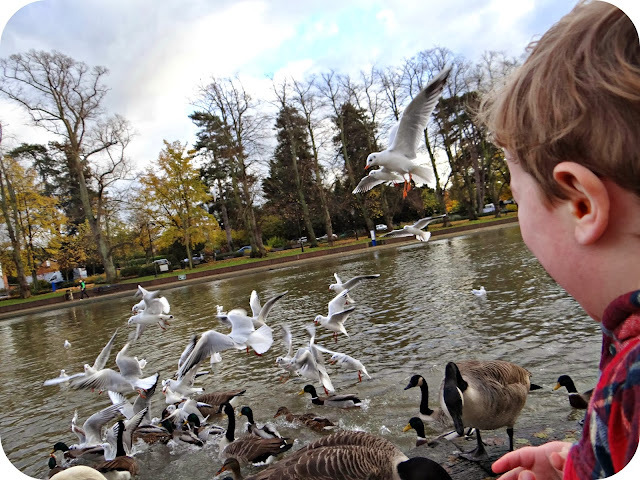 Throwing the last of the bread to the birds and hoping they will hop back into the water. And counting our lucky stars that the ducks were being called onto their next feeding spot further down the river. It's the simple days, doing those simple things when we can just enjoy the here and now. It's being able to find the fun in everyday places and watching Leo's eyes glow with delight. 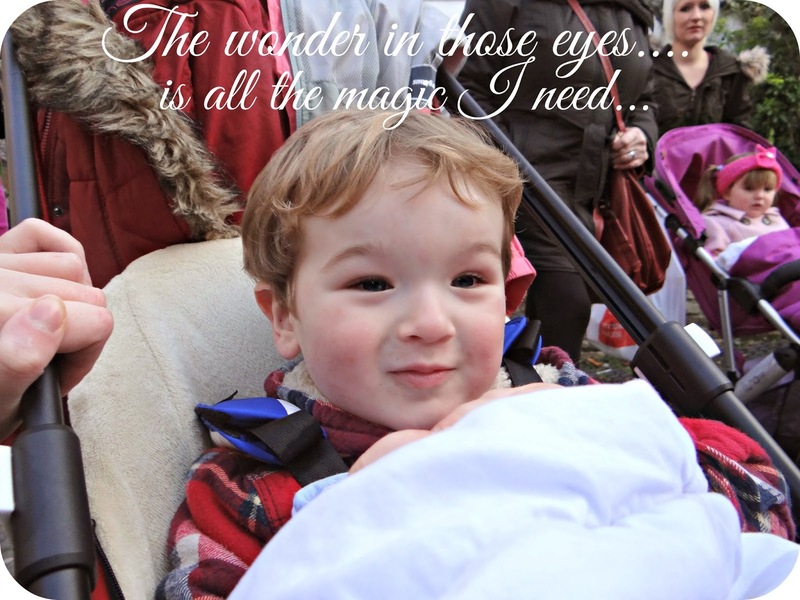 His innocence shines in everything we do, and these simple things that we do are so wondrous and magical to him. 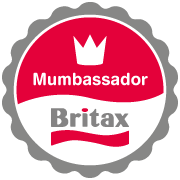 Earlier this year I joined the Britax Mumbassador programme. I was really pleased to be invited into the fold as I have always been a big fan of Britax and already had their products firmly in mine and Leo's lives. 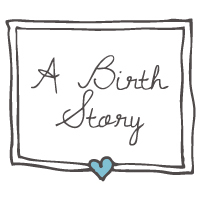 When it came to choosing Leo's car seat there was only one brand on my mind, and that of course was Britax. They have a trusted reputation with parent's and this put me in a good stead to make the big decision in choosing the car seat that Leo still sits in today. 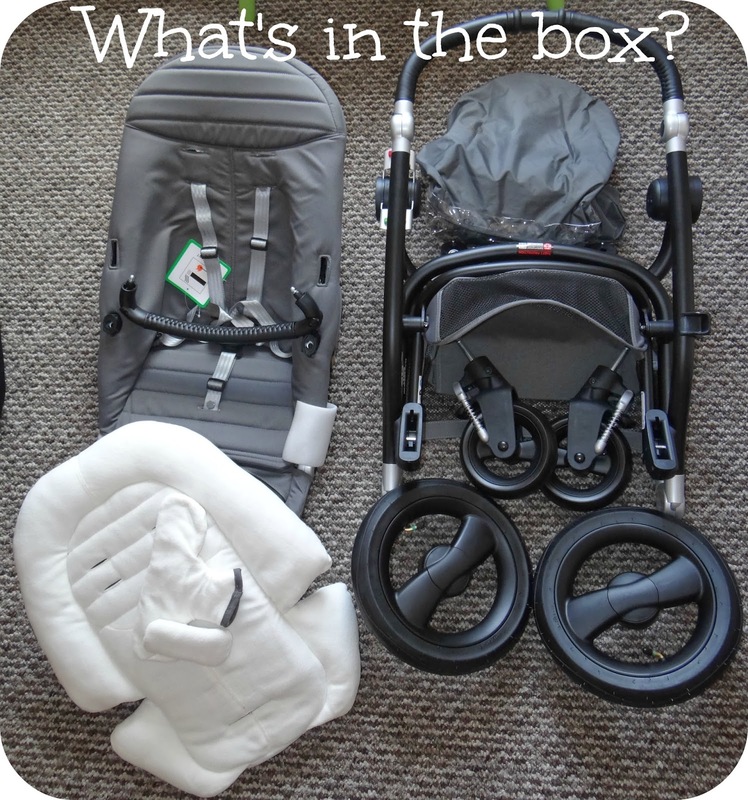 As part of my role as a Britax Mumbassador, it has given me a fabulous opportunity to try out more of their products so that I can share my personal experience on this here blog. 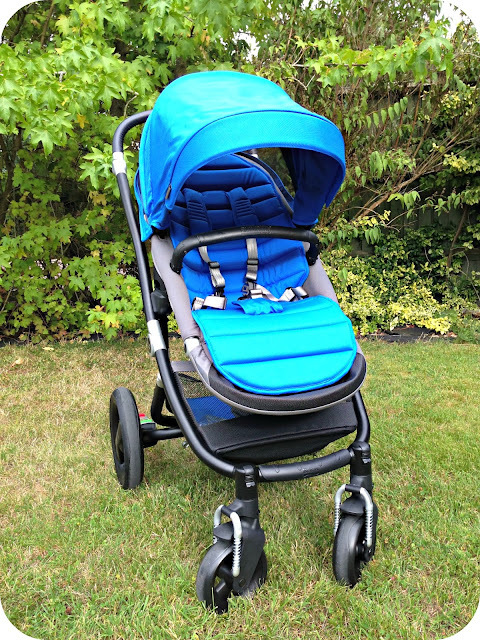 Back in the Summer I was sent the Britax Affinity with a very stylish Blue Sky colour pack to try out with Leo, and we have been using it ever since. We have been on trips all over the place and now we are in a very good position to share our opinion on this very attractive pushchair. Before the Affinity even arrived I really liked the entire look of the pushchair, there is a choice of frame from Black, White and Silver. I was instantly drawn to the Black, I always think they look so much smarter with a jet Black frame. The standard price of £360.00 gets you all of the above, and the colour packs come as an extra unless you find a deal that includes this. 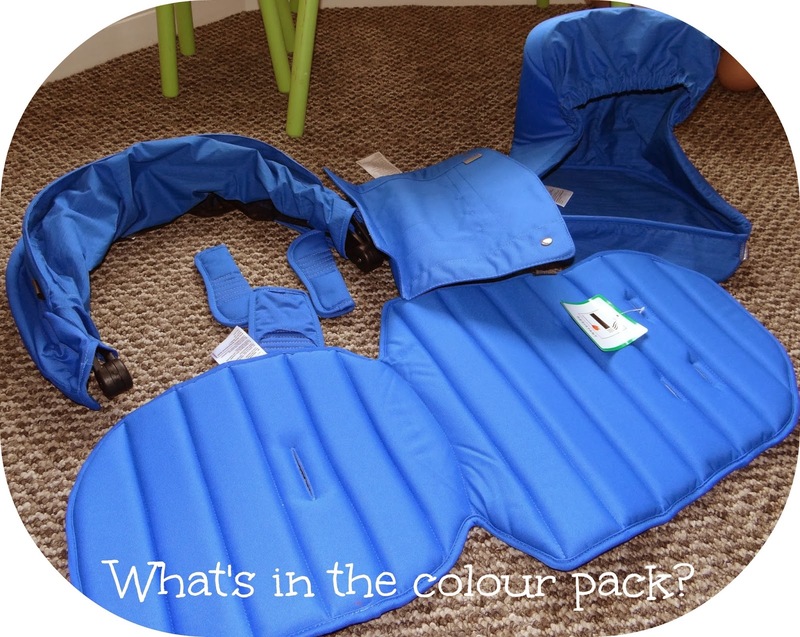 The colour packs include the rest of the fabrics that make up the Britax Affinity. 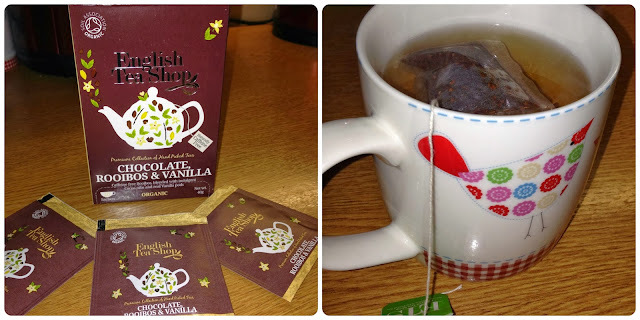 With a retail value of £48.00 per pack I think this highlights a very reasonable price tag that will give you the flexibility to change colours every so often if you are like me and like to switch things around. It would also be ideal if you were to have multiple children of different genders and wanted to indulge in the different colours available. You can use the Affinity without a colour pack if you don't mind not having a hood, but personally I couldn't imagine just having the pushchair and not completing the look with one of the colour packs. For me having a hood is something I expect out of a pushchair, so it would never have been a option for me not to have the finished look. I found the entire assembly process very easy. It involved simply clicking the wheels into place. Dropping the seat unit into the allocated slots and then simply attaching the colour pack. The hood clicks into place and then has a zip to secure it at the back, I found this a little fiddly but got there eventually. The seat pad it's self just sits in the seat unit and then you have to bring the 5 point harness through each of the slotted holes and attach the harness belts. It was all very straight forward and I found the instruction manuals very helpful. The one bit I did spend a bit of time scratching my forehead over was the basket insert, I couldn't quite work it out for love nor money, but it just sits in place and buttons into the basket. With the Britax Affinity completed in front of me, the jett Black frame and the Sky Blue Colour pack I was sufficiently impressed. It did look very smart and ready for business, so I wasted no time in getting out and about with it. In compassion to any of the other Britax pushchairs the Affinity is one of a kind, it's curved frame and smooth finish is nothing like their usual chunky styling. 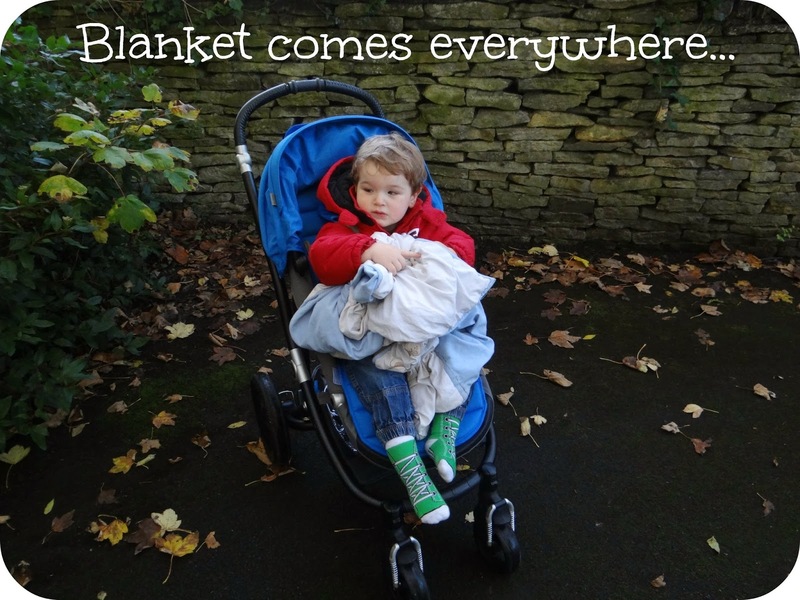 I think this opens up the Affinity to a whole new range of people who are in the market for a complete travel system alternative. The pushchair it's self is pretty light which made me optimistic as to how it may maneuver with my chunky 2 year old at the helm. The back air filled wheels are nice and chunky and look like they could handle some of the terrain I like to frequent on my travels, but I was a little dubious about the front wheels and couldn't help thinking that it would make more sense for them to all be air filled. Now after using the Affinity for a fair few months I am looking forward to sharing my personal experience with this pushchair. 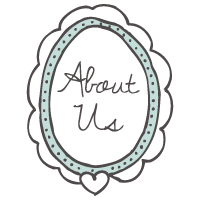 We have stayed local and enjoyed park visits, we have visited destinations further a field such as Drayton Manor Theme Park, and we have even hopped on a train to London, each different outing has given us a new insight into the Affinity. 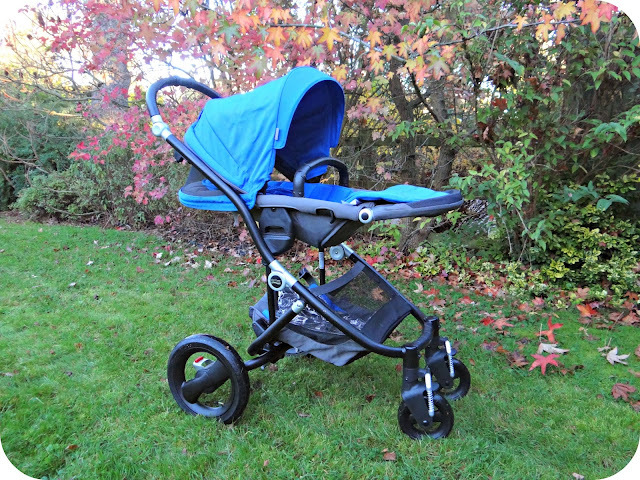 The Affinity is a pushchair you can use from the word go, the newborn inserts mean that you can have your little one in the seat unit from the start. Thanks to the very easy to use reversible seat you can even have them facing you. If you don't wish to put your newborn straight into the seat you have a couple of other options. The Affinity is travel system ready so you only need to click either of these options straight into the chassis, and you are on your way. 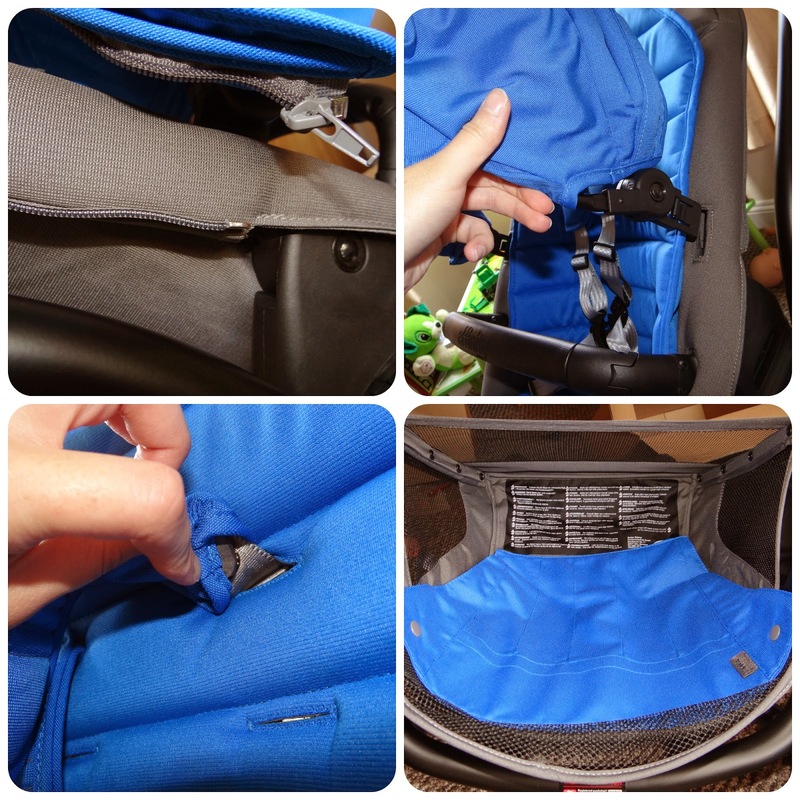 Leo and I haven't personally used this part of the pushchair with him being that much older, but it is still a great feature to have. If we had this pushchair with Leo as a little baby this is something that we would have certainly been making the most out of. Leo sits in the seat comfortably but he is getting to the larger end of the scale, he is pretty tall for his age and his head does reach the hood. The seat unit it's self is spacious and comfortable with the option of 4 different recline positions. For me personally pushing Leo around in the Affinity, you certainly know that he is in there after a while, but regardless of this it still pushes smoothly and steadily. The Affinity seats children until they weigh 17kg. I would say Leo is very almost at this weight so he really is the top end of the scale for the Affinity these days. One of the things I really love about the Affinity is the ease of being able to change the seat unit from world facing to parent facing. It is as simple as clicking it into place either way you wish. To get the seat back out again you just have to hold in the buttons on either side and pull it back out again. It looks great in either positioning and Leo loves that we can have a chat as we walk along, but if he tires from this we can effortlessly change the position back. For the most part actually driving this pushchair with Leo in has been lovely. There was one occasion recently where I went to push Leo up a dropped curb and the wheel caught pushing me back into the road. It was no problem and I just adjusted the way I was pushing the stroller up the curb, but it is here where I think the front wheels may benefit from being a little bigger, or air filled like the back. 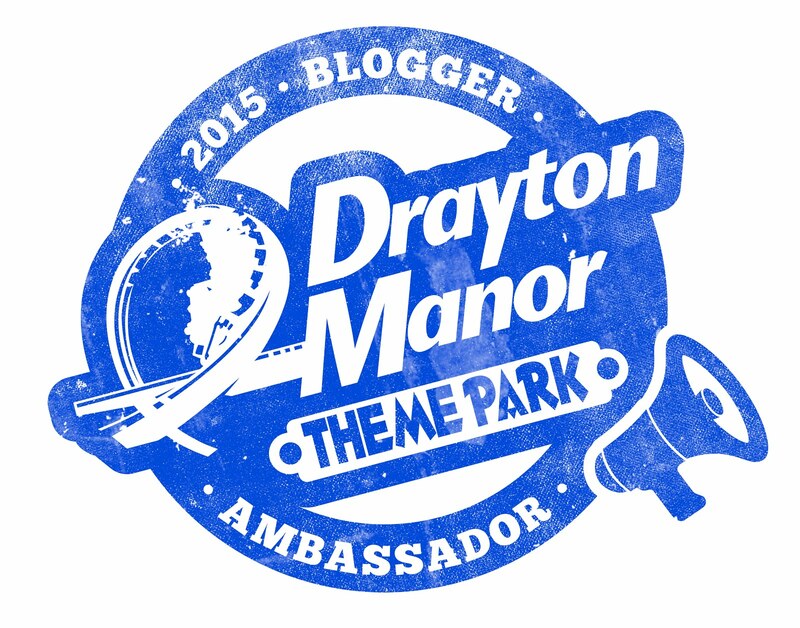 On our day out at Drayton Manor Theme Park the Affinity got lots of admiring looks and I even had a few people ask me what brand it was. 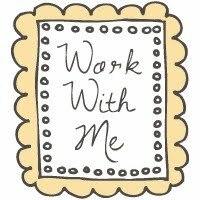 I am always more than happy to answer any questions people may have, and I even offer to let them have a push with a 2 year old at the helm if they are interested in purchasing one. Just so that they can see how much use they will get out of it with my big boy comfortably demonstrating. The brakes on the Affinity are effective and easy to use. 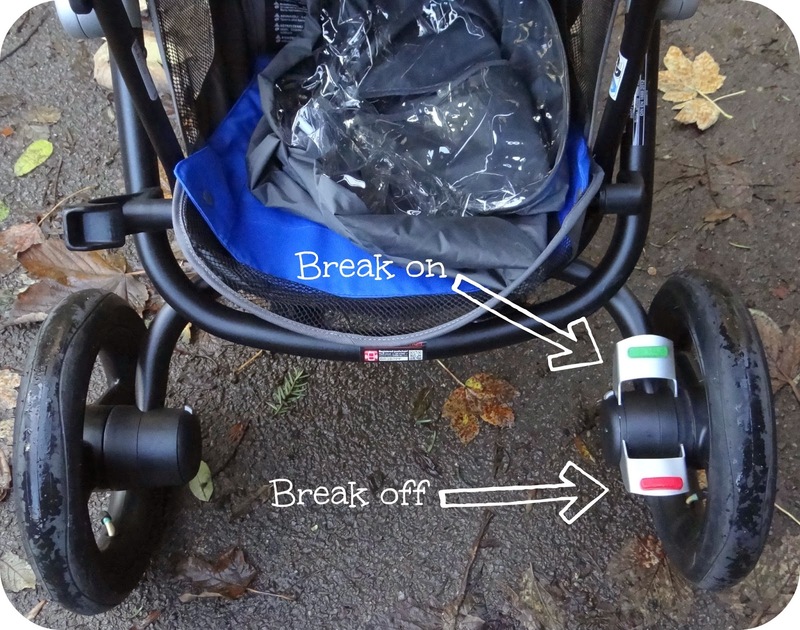 They are located on the right hand side of the pushchair using a foot pedal with Green to indicate kicking the brake off and red to instigate the brakes. I like how Britax have made it very apparent in terms of how to operate the brake, kind of like a traffic light system. 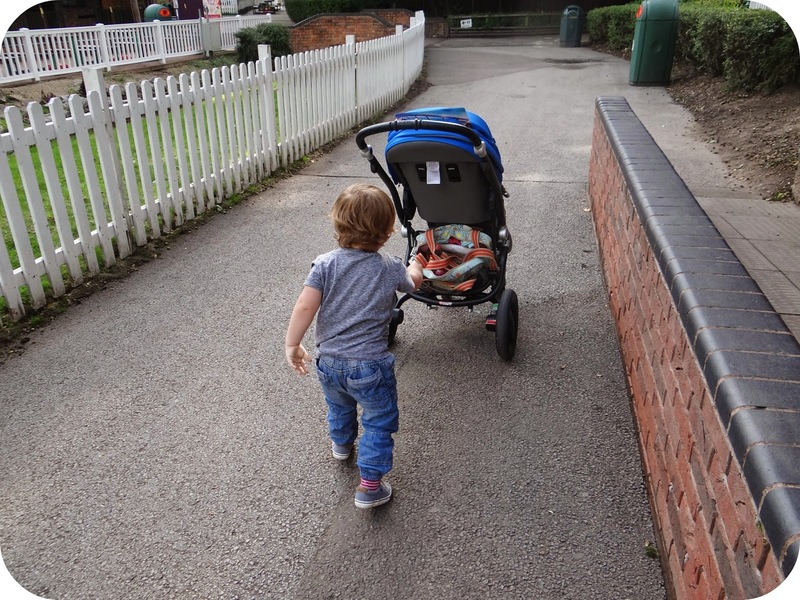 It's days out like this that really highlight to me how much Leo still relies on having a pushchair, he gets tired and he also needs confinement. Or I need him to have confinement...Regardless, we still very much rely on having a pushchair. It was easy to fold the pushchair up when we had to jump on board Thomas the Tank Engine in Thomas Land, and it was easy to pop it back up again when we arrived back from our little adventure. 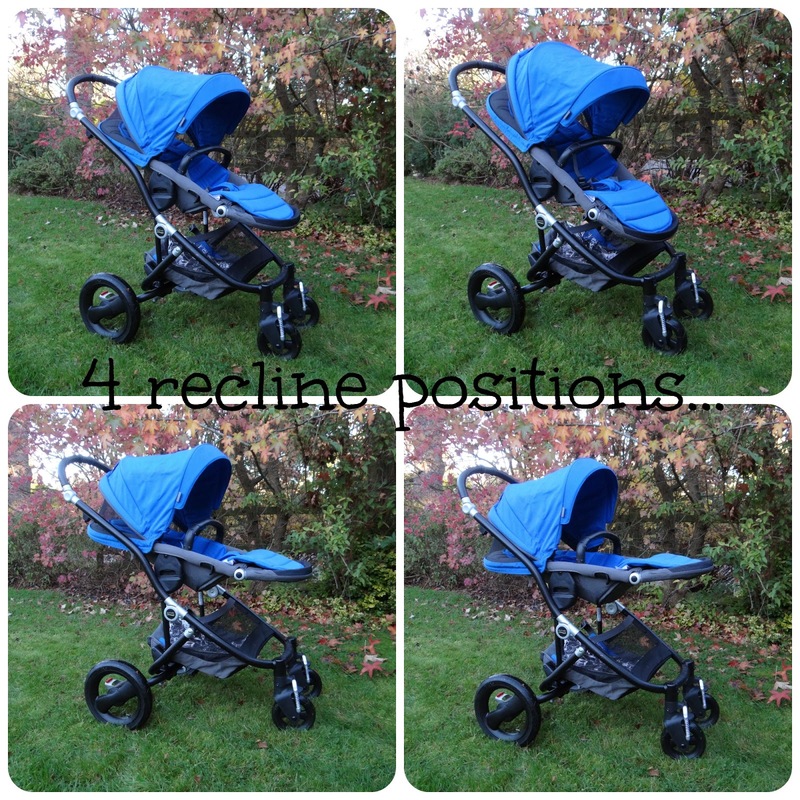 I love pushchairs that make it obvious how to put them up and down, the Affinity is one of those pushchairs. To put it up all you have to do is release the black clip on the side and push it up until it all clicks into place. To put it down You need to locate the two slider buttons which are actually situated on either side of the handle bar. The right hand slider has a small button which you push in and then both sliders need pulling towards you so that the Affinity’s frame can collapse and fold towards the ground. You then push it closed so that the auto lock engages. I have had to collapse the Affinity after I got on board a train to London with Leo as there was no where to safely leave it erect. So I sat Leo safely on a seat and collapsed the Affinity to store behind our seat, once collapsed it is quite bulky so it was good to get it out of everybody's way. The folded Affinity does not fit in the boot of my Peugeot 206 but I can transport it around on the back seat of my car. This is usually ok as it is only me and Leo in the car so I don't miss the back seat that I lose, however this would potentially cause issues if I had to take the Affinity and a car full of people out anywhere. Once in London I got around perfectly with Leo in the Affinity, it handles beautifully in urbanised areas. 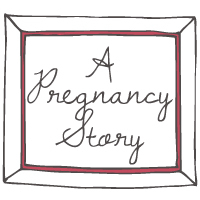 Unfortunately for me Leo decided to projectile vomit while we were on our way to a rather swanky event. 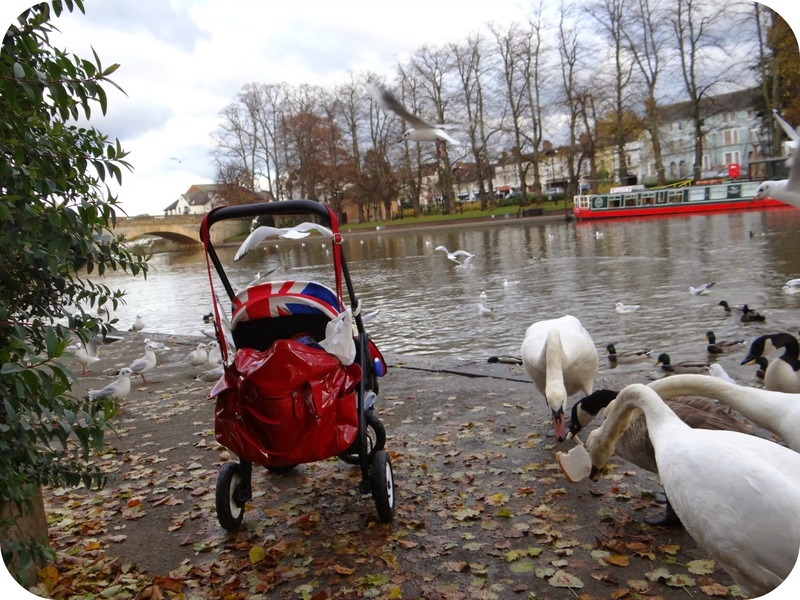 Right in the middle of London... All the while sitting in his Affinity pushchair. Sufficed to say I had a little panic. Luckily I had Mummy Adventure and Rock 'N' Roller Baby on hand to pick me up and send me on my way for my rather long journey back home... with a poorly baby. Leo soon fell asleep as the bug took a hold on him, it was around about then that I realised that I had no idea at all about how to recline the Affinity. As I had a rather long wait for the next train and at that precise moment in time.. A sleeping toddler I didn't want to faff about too much in case I woke him up. So for that moment I left it and vowed to find out where exactly the recline was when I got home. The recline is actually located on the side of the Affinity just above the foot rest buttons. If I hadn't been in such a panic about whether or not Leo was going to be sick on the train.. It would have actually been a easy spot for me to find. Baskets for me are always a first look, I tend to accumulate a lot of 'things' while I am out and about. Not to mention the fact that everywhere I go, Leo has to take his security blanket, that just so happens to be a fully fledged cot duvet. 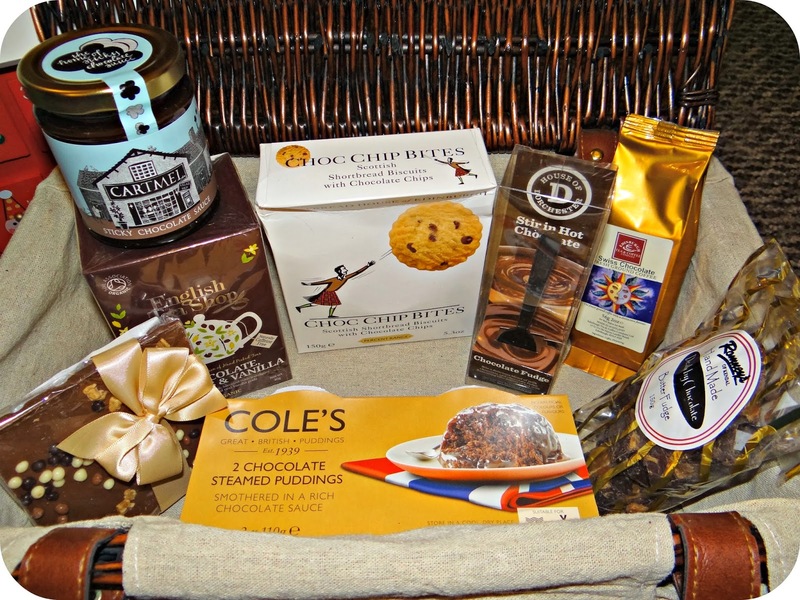 This alone when Leo is not in need of it, happily resides taking up the majority of my basket... But as an essential piece of luggage to keep Leo content, it comes with us... EVERYWHERE. The basket it's self is actually pretty spacious, but there is one bit that let's the side down for me and that is just how open the back is. Although it does make life easier in actually getting items in, it does make it just as easy for them to fall out again. I have managed to fit both my changing bag and Leo's blanket in the basket, and then I have managed to strategically balance items so that they stay put, so the size of this basket is perfect for getting everything we actually need for a day out and about. The opening at the back aside, if packed correctly you can make use of all of the space and avoid items getting trailed along the way. The hood is fabulous on the Affinity, and is very generous in size and keeps a solid structure. 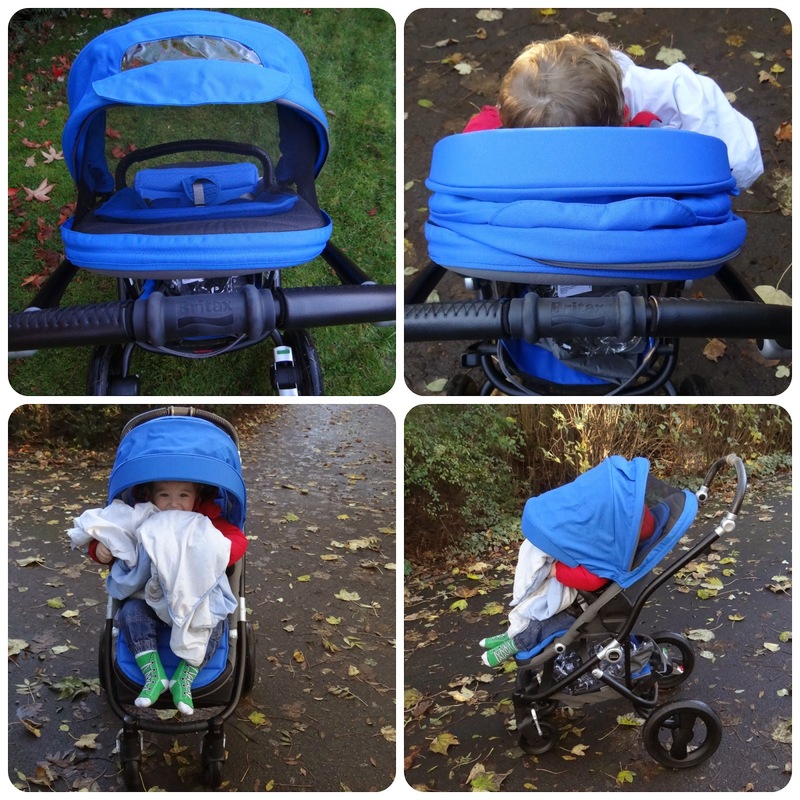 It even features a pull out sun visor which only adds to the size of this hood and makes so much difference when the sun is blaring down into the pushchair. What I really liked about the hood was the zip at the back that opens up the mesh netting so that you can let fresh air circulate around the pushchair, perfect for a hot day. Finally there is a Velcro tab with a peek a boo window so that you can always have a watchful eye as to what is going on behind the hood. 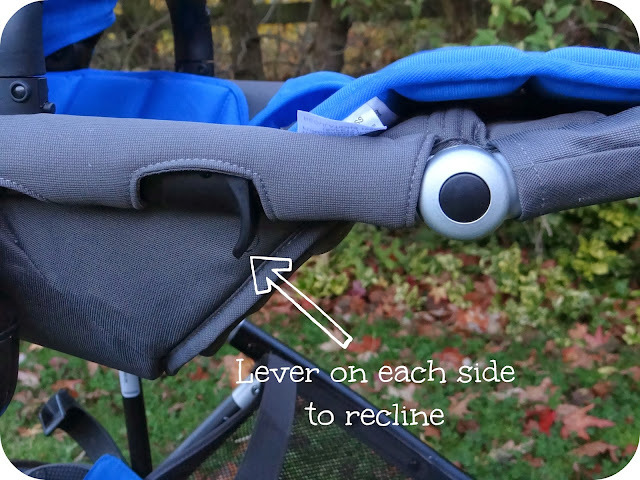 The handle bar is really easy to adjust and has different positions so that it is perfect for either parent who may be pushing baby around. Although I am not the tallest person in the world I still like having the height on the handle bars when pushing Leo around. The handle bar it's self is covered in a leather like material which sets it aside to any other pushchair I have ever used, I like how soft and easy to grip it is. The Britax Affinity is the only pushchair to boast it's own anti-theft protection. Each Affinity has it's very own unique code which you can register online at code-no.com. This system makes it possible for anyone to carry out a status check with their unique code number. 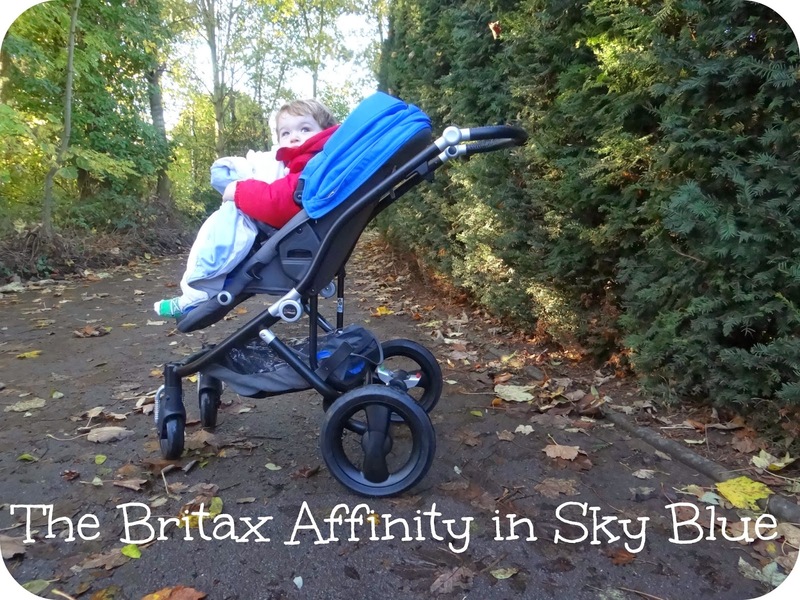 Over all I really like the Britax Affinity, it is an all round pushchair at a reasonable price that can see you through from the day your little one enters the world until you no longer need a pushchair. Leo still sits very comfortably in the seat, and is happy to face either way in the unit. I like how it steers while we are out and about and it handles multiple terrains very well. I do think that it may benefit from 4 air tyre's instead of just the two back wheels but then that is what I have become accustomed to over time. I wouldn't say the Affinity is a completely off road pushchair and do feel that it is more suited to urban routes. 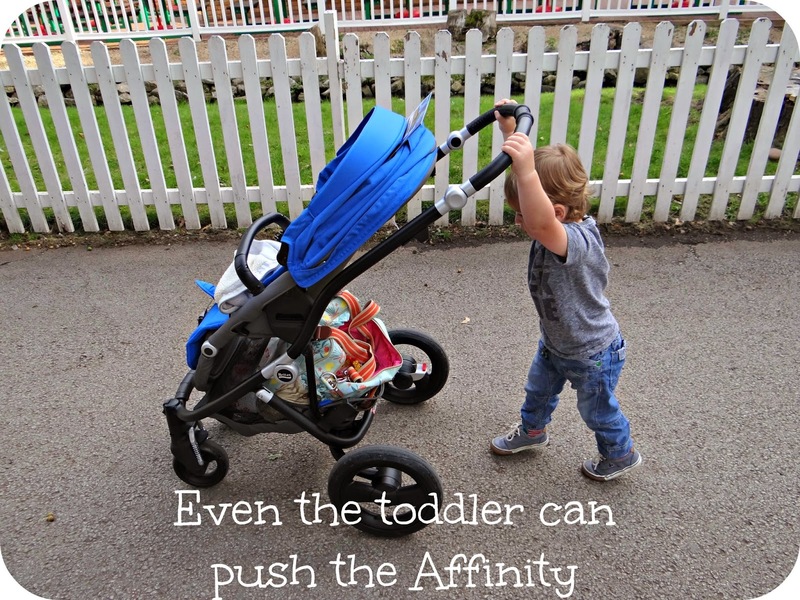 I do really like the Affinity package and love just how sturdy and safe it feels, I would definitely consider this option for a newborn baby and would probably look more into the carry cot and car seat options to make use of the travel system. Disclaimer: I was sent the Britax Affinity for the purpose of this review. All views and opinions expressed are completely honest and my own. It would seem that having a Advent Calendar is a Christmas time tradition that I have never really outgrown. 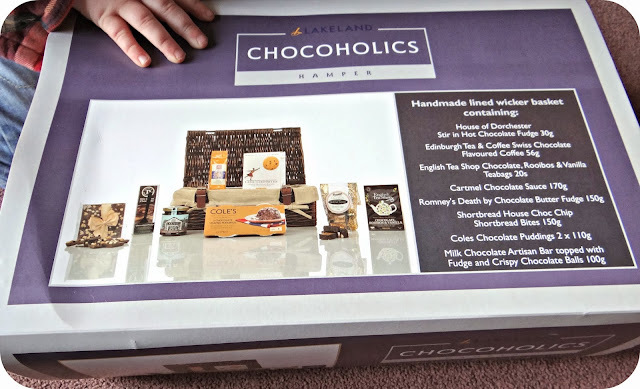 Year in year out, I treat myself to a chocolate calendar from one of the leading chocolatiers. 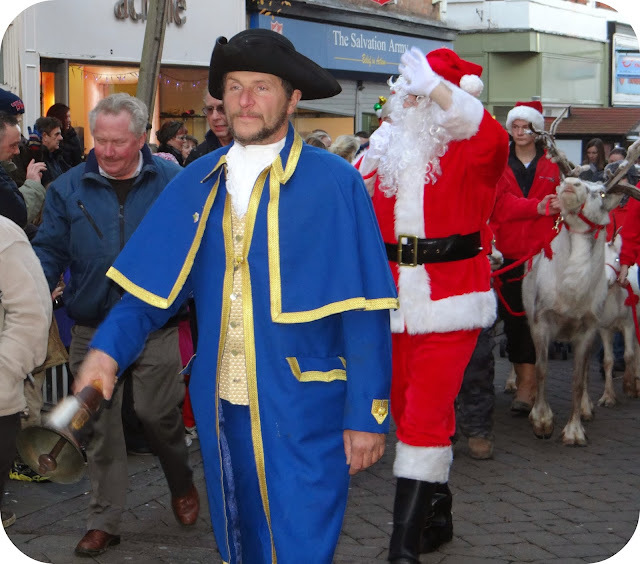 Now Leo is that bit older and he is starting to see Christmas in all of it’s magic through those child eyes of his, I have stepped up advent this year and implemented a new yule tide tradition that will grow with Leo. Instead of the bog standard Advent Calendar we have upgraded to a wooden Accs Advent House. 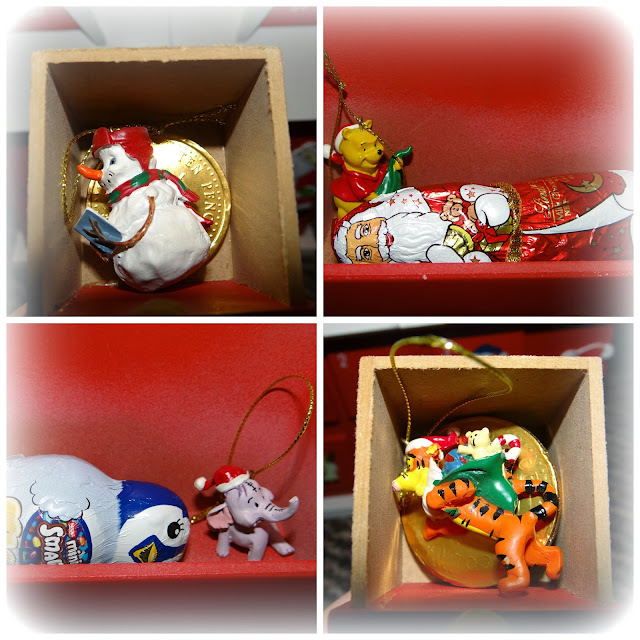 The house is festively decorated and has 24 draws that you can fill with whatever you like. 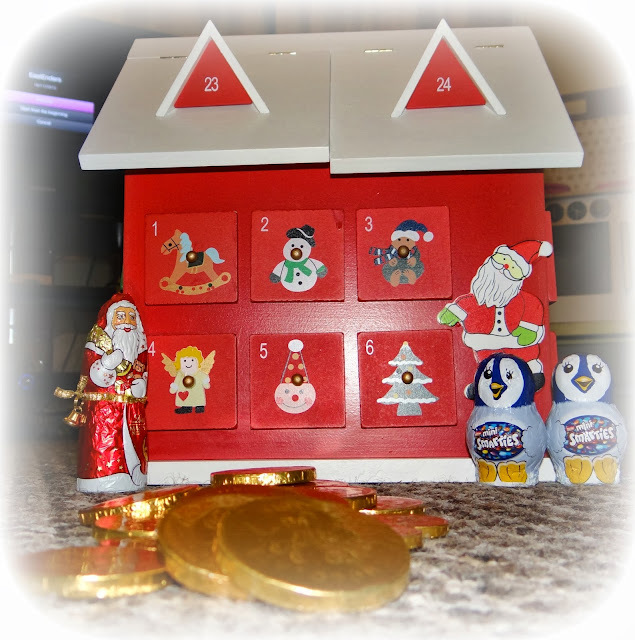 So if you are against kid’s having chocolate in their calendar’s you could fill it with small toys or trinkets instead. Now I am not against a little bit of chocolate in Leo’s Advent Calendar but I wanted our new Advent House to be a more of a treasure trove, rather than a big chocolate box. So I set myself thinking about what else could be hidden away inside these draws, awaiting discovery by my excited 2 year old. 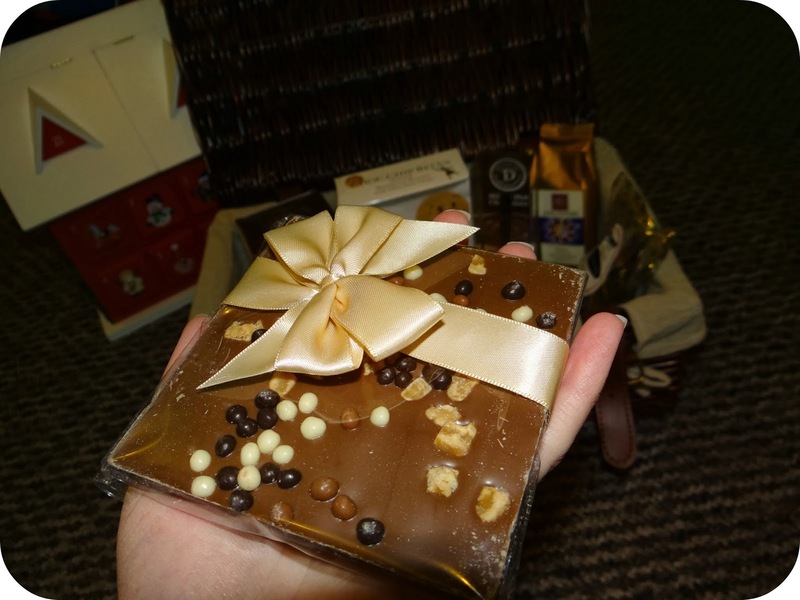 The obvious first choice for me was chocolate coins, because every Advent Calendar needs a little bit hidden away inside. So I purchased a few packs of gold coins and slid them into each draw, and set myself thinking about what else could be tucked away inside. Then an idea formed while out and about shopping (I may have stored one of the draws in my pocket so I could get an idea of size...). Christmas decorations, Winnie the Pooh and friends Christmas decorations. 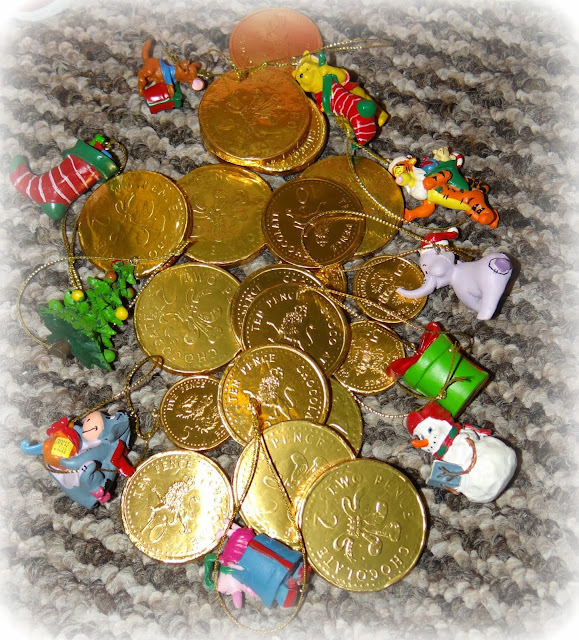 On some days Leo will pull out a shiny gold coin, and on others he will also receive a special tree decoration that he can personally come and put on his Christmas Tree. 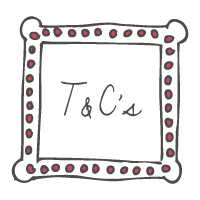 I really liked this idea, and I have thoroughly enjoyed getting the pieces together for Leo's very special Advent House. 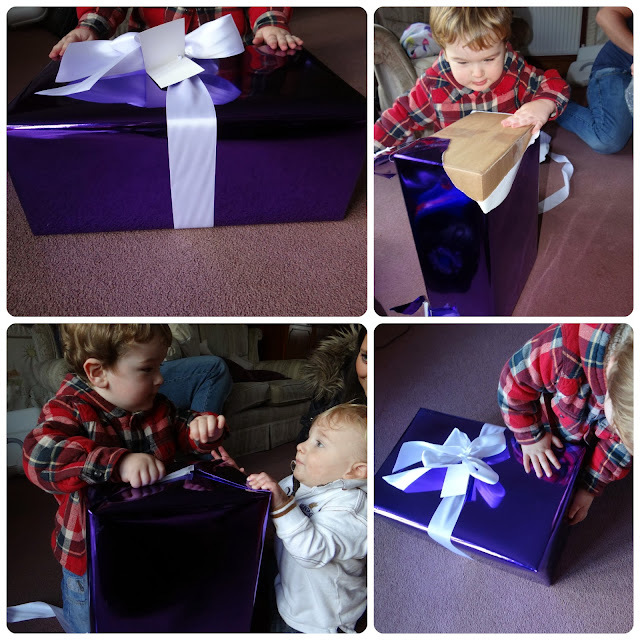 It is going to be something I can do each year for him, each year with different contents and gifts. A new family tradition has been born. 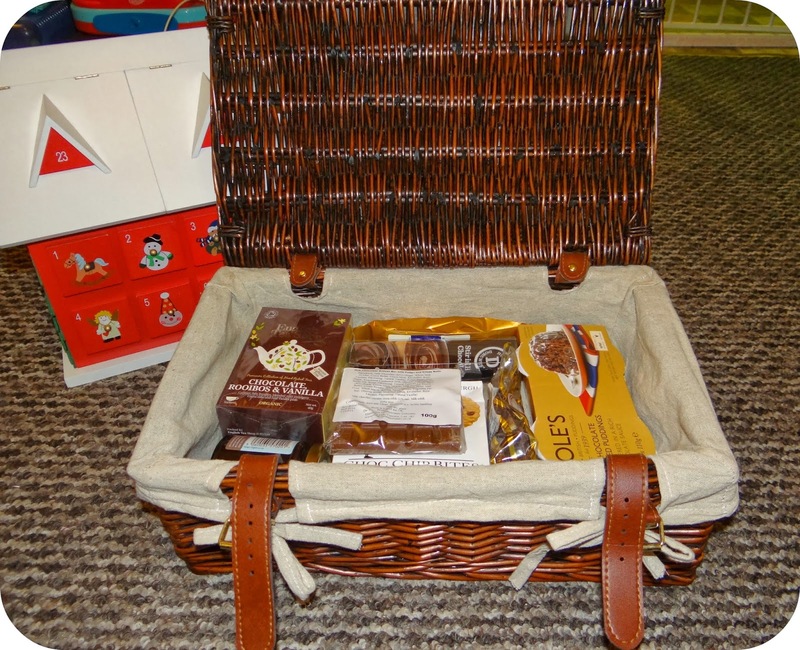 If you were thinking of doing something a little different this year and like the sound of our Accs Advent House, you can purchase them from countrybaskets.co.uk for £19.95. 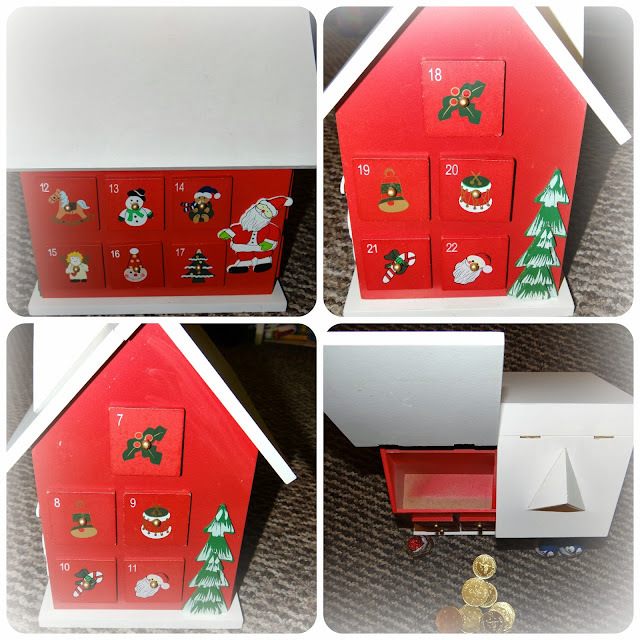 Disclaimer: I was sent the Accs Advent house for the purpose of this post. All views and opinions are my own. I know I am not alone in thinking of a long car journey... The thought actually makes my heart sink. We have personally experienced a long haul car journey to Europe with Leo, who at the time was just shy of one year old. At times it felt like the trip would never ever end. Lets face it... 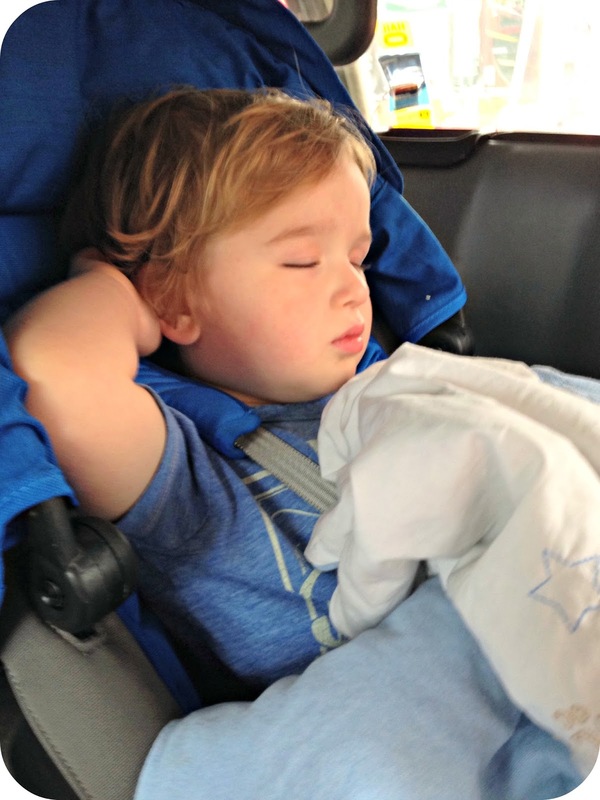 Kids get bored, they have episodes of car sickness or just become easily irritated... or for that matter irritating! 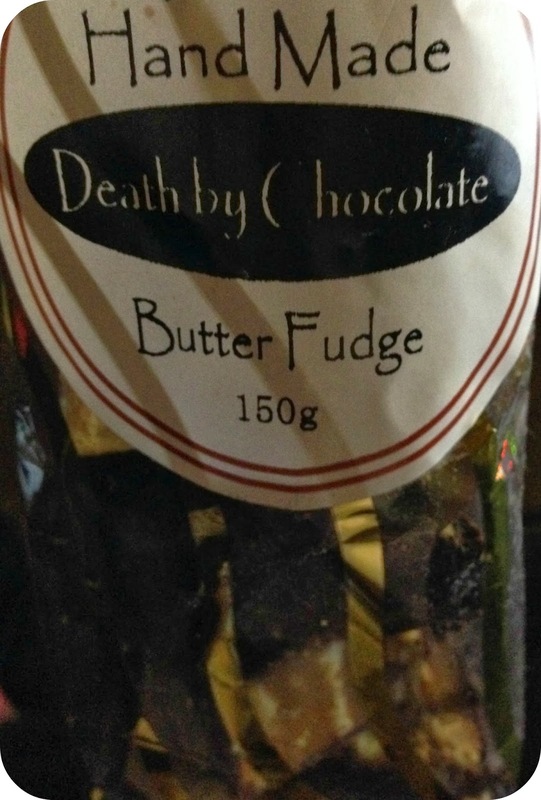 All of these things combined transform into the recipe for a family holiday from hell. I like to think that with the right amount of planning, all children can enjoy a long road trip anywhere while the parents can sit back and enjoy the view! 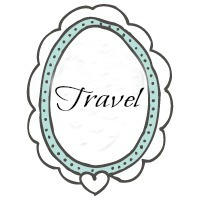 It’s time to stop seeing the travel as a means between A and B, and start seeing it as part of the holiday! 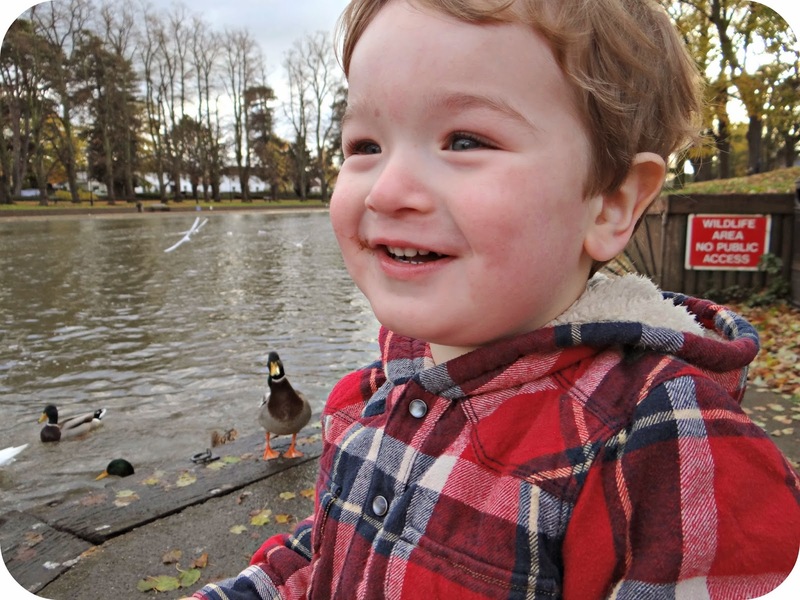 We have traveled abroad a handful of times with Leo, within the first 5 months of his life we took a holiday to Tenerife, and despite working myself up to the possibility of it all going pear shaped, it was actually a hell of a lot easier than flying with a 2 year old! This summer we jetted off to Cyprus, a 4.5 hour flight. 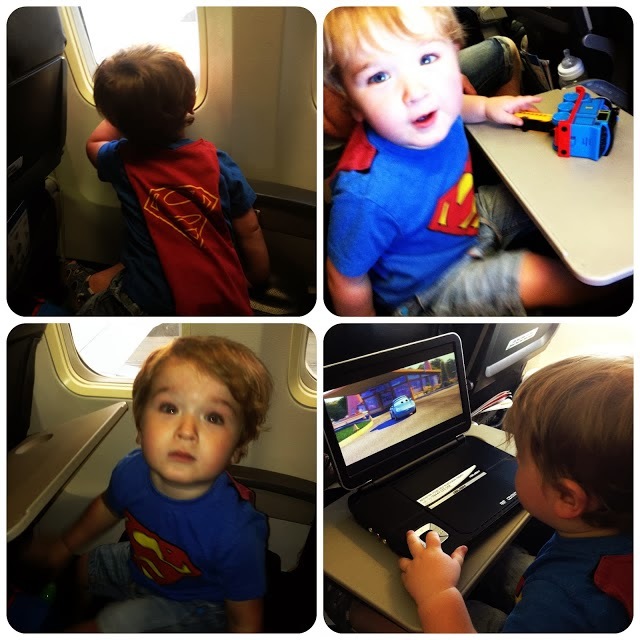 Flying with a toddler was so much more stressful than flying with a baby in arms... But I had anticipated this and packed a Trunki full of absolutely everything that I knew he would love. Things that I knew would keep him entertained... I may have even invested in a portable DVD player. I do like to opt for a peaceful life. I packed enough food to feed a Severn nation army, replacement batteries and chargers for gadgets and I think it is even worth thinking ahead to all of the possible medications that you may need to ensure smooth sailing on your journey. I speak from experience when I say that sometimes it feels as though you need to spend a small fortune in order to have a really great time. When you are away it is very easy to get lead down the primrose path to greener pastures and part with money when you don't really need to. Realistically this only serves to make you stressed and worried in the long run. - Making a realistic budget before setting off including food and gas will ensure that you don’t find yourself surprised by the bill at the end. Don’t forget to have enough to cover these essentials as you could find yourself short. 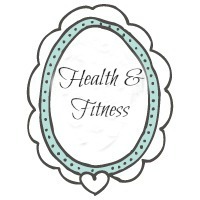 - Eating ‘in’ for two meals a day mean that you can prepare food and ensure that those meals have already been covered. With the money you’ll save, you can then indulge in a fun and delicious meal in a local diner that all the family can enjoy. 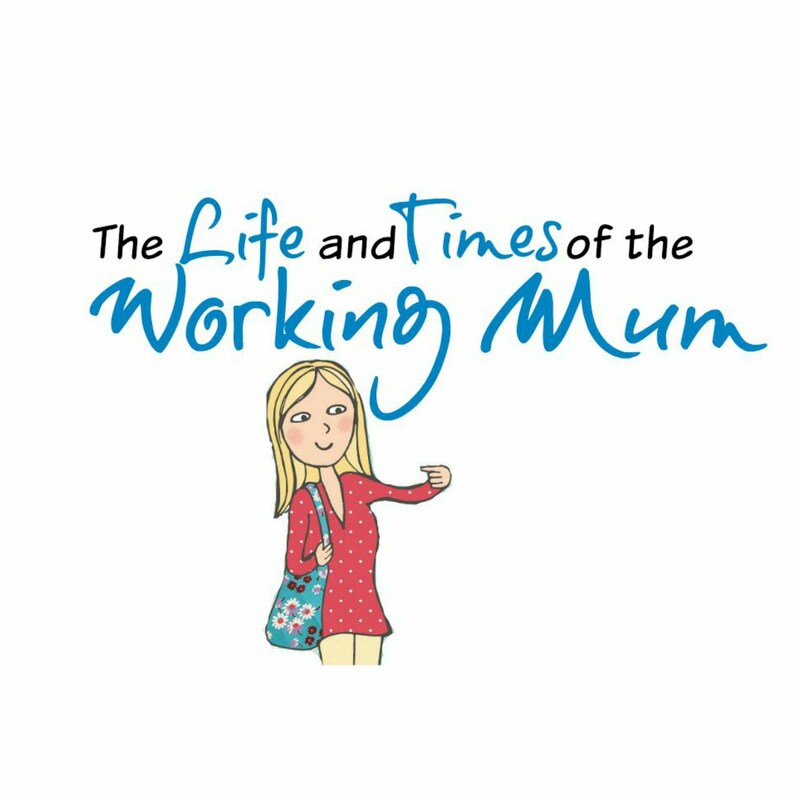 Our Trunki full of goodies served us incredibly well on our last trip, and although it didn't put a complete end to the tantrums that follow terrible two year old's around, it certainly mellowed the experience and kept me from pulling my hair out. In fact Leo was even complimented by a number of passengers for being exceptionally well behaved. Having a toddler has opened up a whole new world to me, one full of toys and wild escapades. One of our recent escapades was to visit Little Tikes for a rather exciting play date in Milton Keynes. 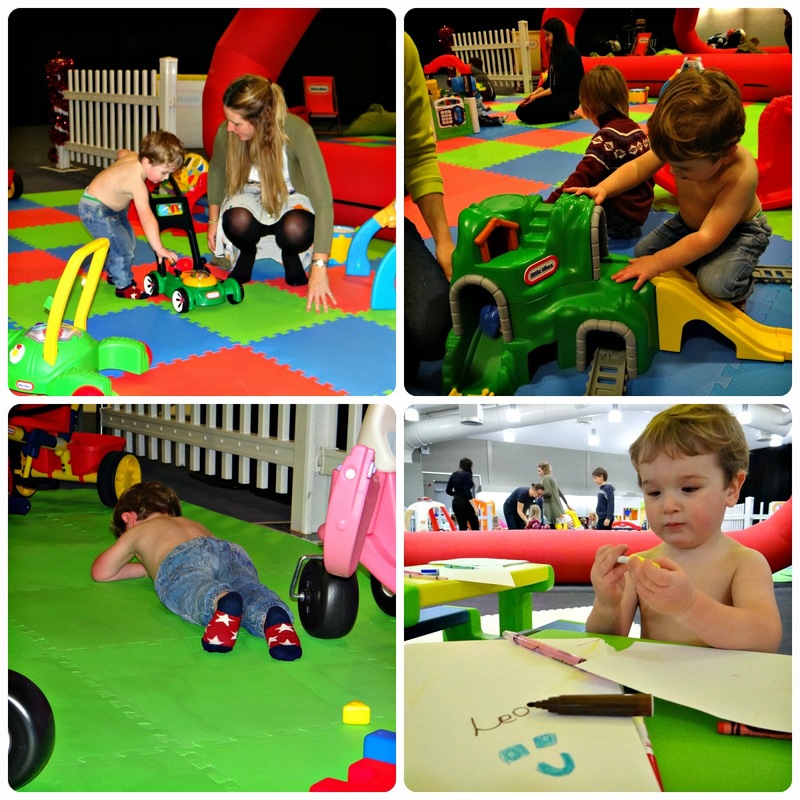 A number of other children of varying ages were also invited along so that together, our cheeky kiddies could have a hands on play with all of the current Little Tikes range. Leo and I are no stranger to Little Tikes, I as a child used to share my younger brothers Cozy Coupe! 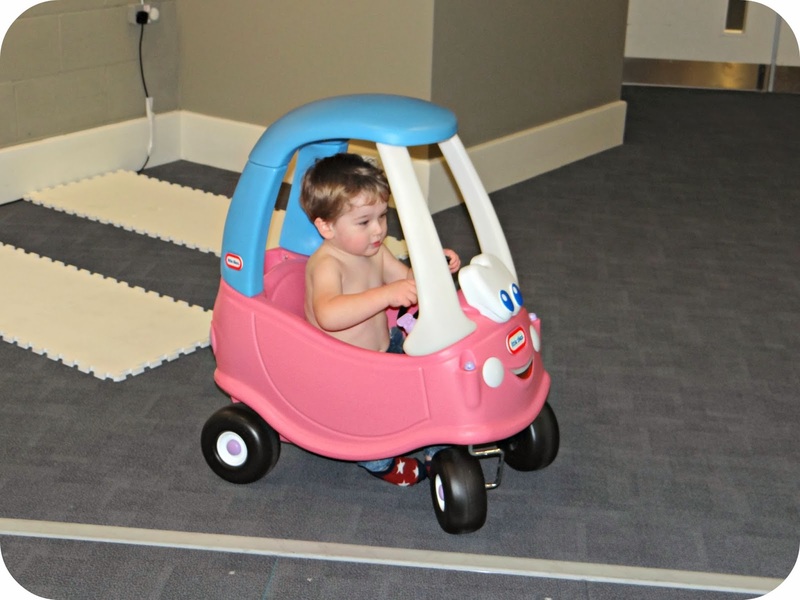 And although the years have rolled by, and the designs may have been made that little bit more modern… The Cozy Coupe is still going strong, and Leo darts around the house in his very own! When I first bestowed Leo with his Cozy Coupe, he would sit in it watching the television and playing with other toys. He was completely smitten! Leo and I set off on this latest adventure bright and early, but if Leo was honest the bit he was most looking forward to about this day out, was that he could travel on the train! The main topic of conversation on our travels was that he was indeed on a train… Or ‘Choo’ as he likes to call them, over and over again. The train ride was so exciting that Leo decided there was no way he was going to give in and take a nap for me… Which of course meant that upon arrival at Little Tikes.. He was way past his best and I did worry that he may not play ball. Luckily for me as soon as we got there, Leo let go of my hand and he ran right into the thick of it. 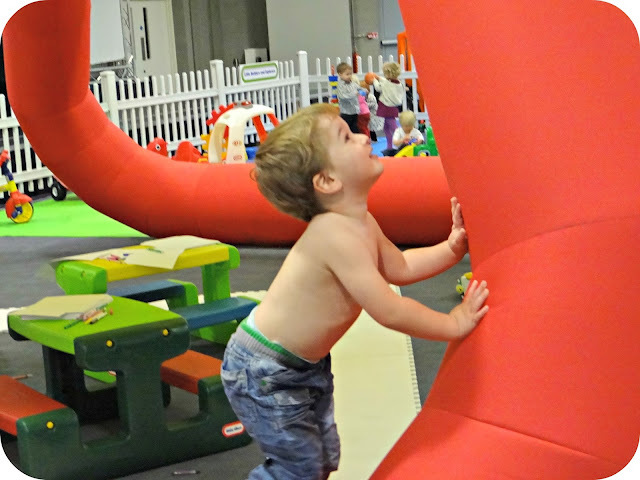 He threw himself over the blow up Little Tikes inflatable… He flew threw the entrance and found all of the other children who were already playing together. What I found really interesting about the day was that Maggie Redshaw (Little Tikes Play Expert) was on hand to answer any questions that we had. I had a lovely chat with Maggie and it was lovely to hear that the best part of her job was to actually just get down on her hands and knees and indulge in a proper playtime with the kids. She said that while they are playing like they were here, there is no wrong that they can do as they are just learning about everything around them, testing the waters so to speak. Maggie has been helping Little Tikes discover why children play in the ways that they do, and I was really impressed that Little Tikes were taking advice from all areas of the playing field. 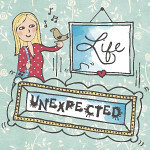 When Maggie was talking to the bigger kids (i.e…Us parents) I found myself nodding along with everything she said. 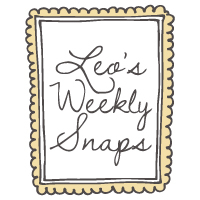 One point was that when they have held play dates in the past, they have thought that the kids would perhaps conform to their stereotypical roles… But what actually happened was the boys flocked to the playhouses and play kitchens (just like Leo does!) and the girls to anything with wheels! Now this didn’t surprise me at all, Leo is often found playing in his play kitchen, and he even has his very own baby doll and a pushchair! Of course throughout the play date Leo played with absolutely everything. He played with the lawn mower and the train set (which soon became a firm favourite!) and he even played with the kitchen where he served me ample supply of ‘chips’. 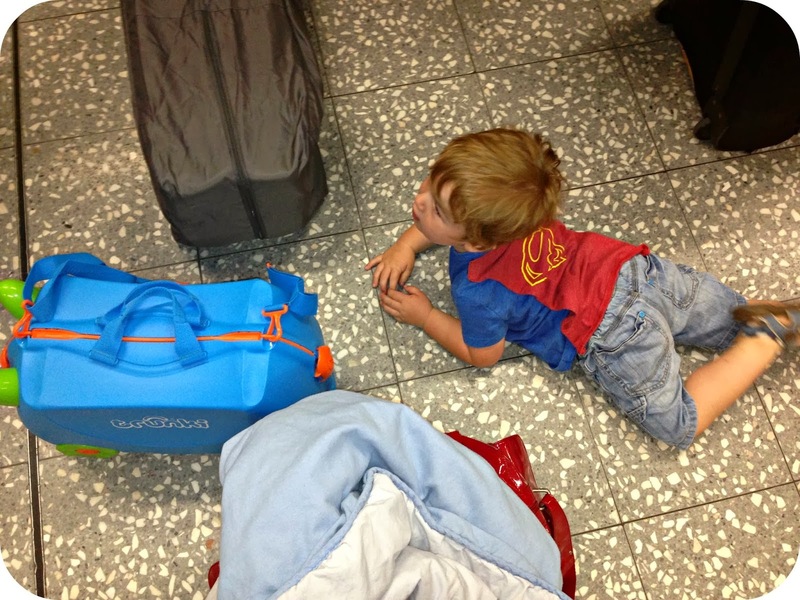 Then when the lack of sleep got a little bit too much… Leo decided he was so tired that he was going to inflict the ultimate toddler melt down on everyone in the room. Train track flew, Leo lay flat on the floor with a face as red as a tomato… I sat there watching not really knowing what to do with him. It went on for a little while… Until Santa. YES SANTA, walked in through the door with a big bag of presents for all of the kid’s. What better way to end a play date!? I managed to convince Leo to sit down on a bean bag with his blanket and his milk, and cuddle up until Santa handed him his very own gift. 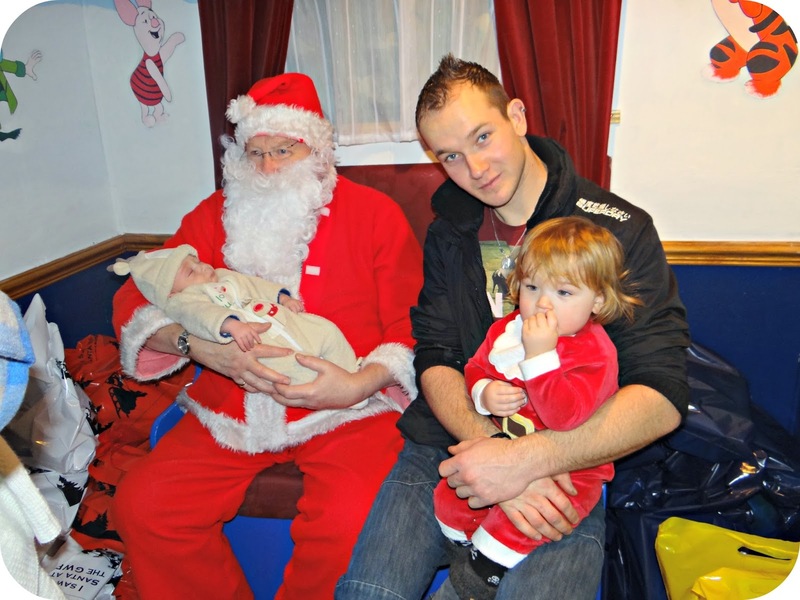 As soon as Leo laid eyes on Father Christmas I saw his entire face light up, and the toddler who only minutes before had been screaming… was now sat mesmerized right beside me, pointing at Santa and calling his name ‘Danta’. I had to stop Leo from prematurely running up to Santa and stealing a gift, but he didn’t have long to wait until the man in red bestowed Leo with his very own present. Leo eagerly tucked into ripping the wrapping paper off so he could see what was inside. 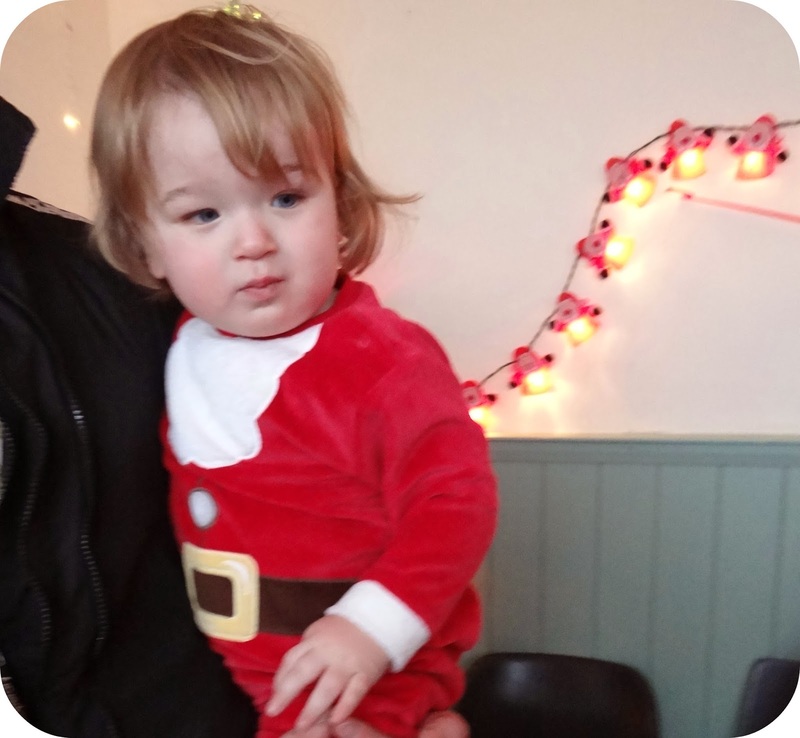 Santa had very kindly given all of the children their new play kitchen, and now whenever you point at his latest toy box addition, and ask him who gave him it… He replies concisely with ‘Danta, Present’. 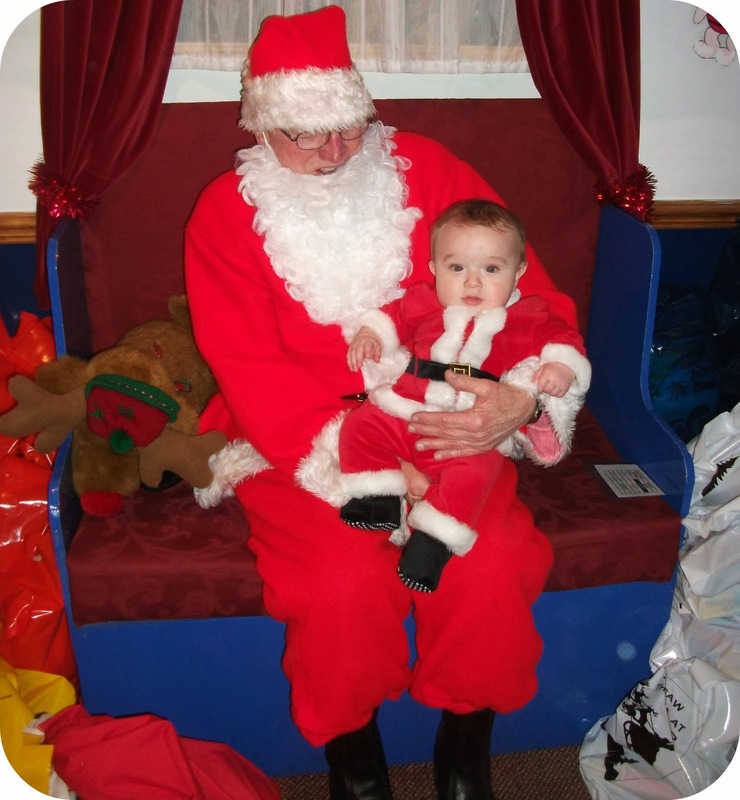 What really made me giggle over the weekend was when I told him we would be seeing Santa again, and Leo replied ‘Present, More’. I think someone may have been a little bit spoilt at Little Tikes! We had a lovely, and at times magical time with Little Tikes, and I would just like to say a big thank you for inviting Leo and I along. 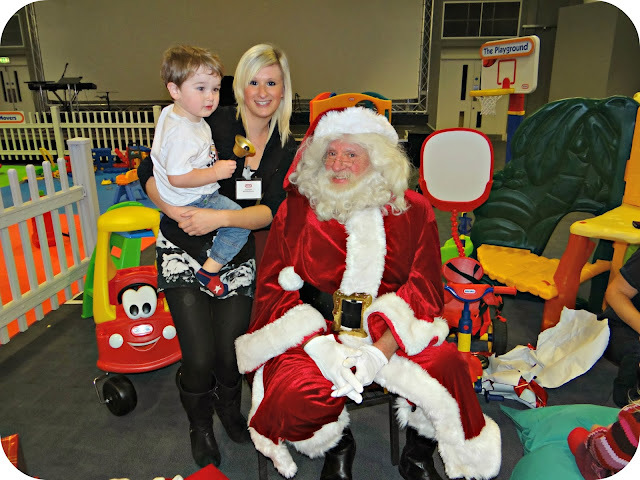 We have definetly added a few more Little Tikes goodies on our letter to Santa Clause this year! 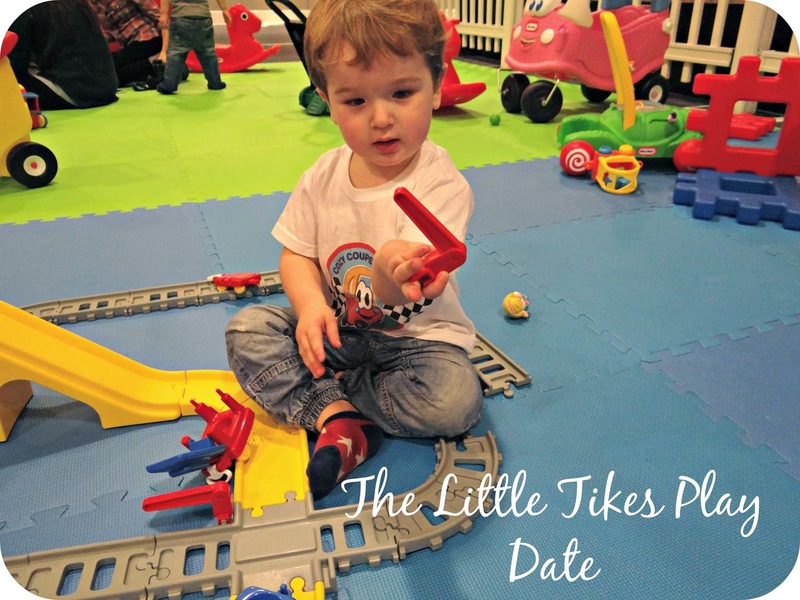 Disclaimer: Leo and I were invited along to the Little Tikes Play Date. We were provided with lunch and our travel expenses were paid for us. Leo was gifted a present from Santa. I was not asked to write this post and all views and opinions expressed are completely honest and my own. Leo has always loved his Dadda's bean bag, and has stolen many chances to snuggle himself down comfortably as soon as Dadda his got up to make a cup of tea. It had never really occurred to me to look into a bean bag just for Leo as he had a child's armchair set up in the lounge, just for him. 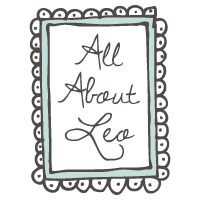 But for some reason his arm chair of his has never quite had the reception from Leo that I thought it would... He would much rather jump off it than sit down on it. In hind sight a bean bag would have been a really great idea, so he could be just like his Dadda and so that they could sit side by side doing whatever it is that boy's do. 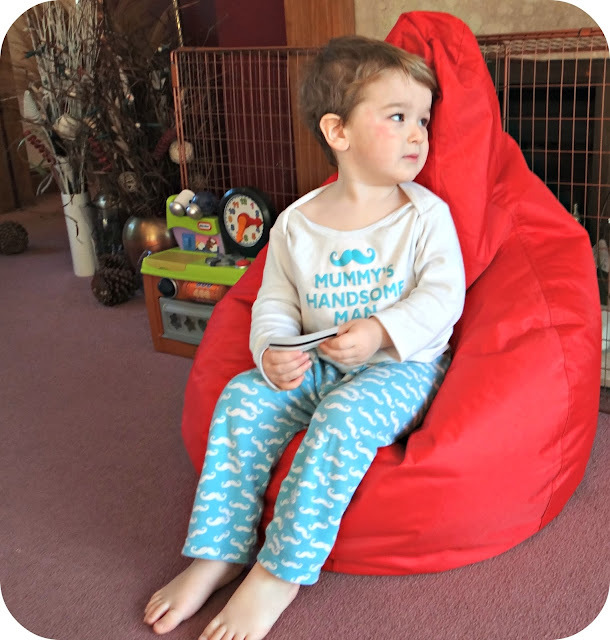 The Bean Bag Bazaar have recently sent Leo a really lovely kid's bean bag, it's a really great size and the quality is so much more than I was initially expecting. We have the Kid Gaming Pod in Red and it is a really nice bright colour which we actually choose because it is the same shade as Lightning Mcqueen, who just happens to be Leo's favourite character. 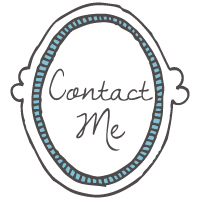 From the initial order to the point of delivery the Bean Bag Bazaar kept us informed with what was going on, I had an email informing me of the tracking number so that I could see what was happening, and I even had an email to tell me that my delivery was on it's way. I was really impressed with the level of communication that was provided throughout the entirety of the order to the order arriving at my front door. It only took a few days from the order date for the arrival of Leo's bean bag, and I was really looking forward to seeing his reaction when he realised that he had his very own. Just like Dadda's. 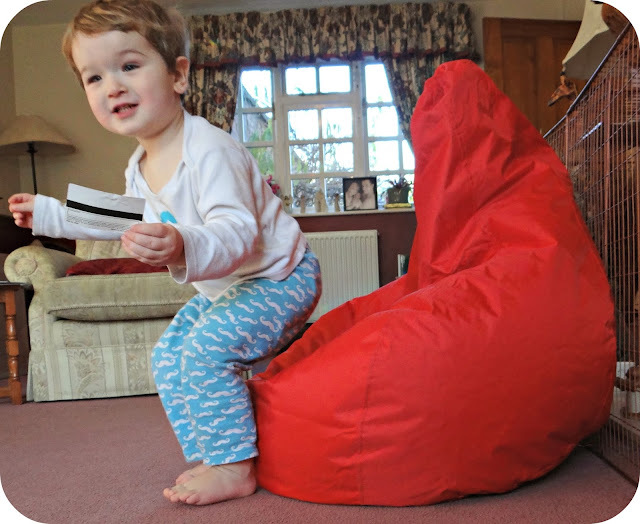 The bean bag was securely boxed and once opened up was ready to be used straight away. There is no faffing about with this bean bag, the beans are already within the bag there is no assembly to be carried out. Leo was thrilled to have his very own bean bag, he has spent so much time relaxing on his bean bag sipping his juice and watching Christmas movies. His Aunt has a bigger Red bean bag and he has insisted that she sit next to him so they can sit on their bean bags together, because bean bag sitting is something that must be done in pairs! The bean bag is a really great size and will see Leo through for years to come. It boasts a sturdy structure and there is a very generous amount of beans inside. It has a high back so that your back is supported and is generally a comfy seat, always great to have around if you have a few more guests than chairs available. I can comfortably sit on this bean bag, granted I am shorter than most... But it is comfy none the less. We have had bean bag's before and over time I have noticed the bean's wear down, so much so that I have practically been sat on the floor. I can't see this happening with Leo's bean bag any time soon. What I really like about the Kid's Pod is that the cover is easy to keep clean. You can imagine with a toddler the mess that just seems to follow them around. Leo seems to drip juice and leave crumbs wherever he goes... Thankfully although I cannot stop Leo being the little mucky pup he has always been, I can easily wipe up any mess that he makes on his bean bag. *Phewph*. 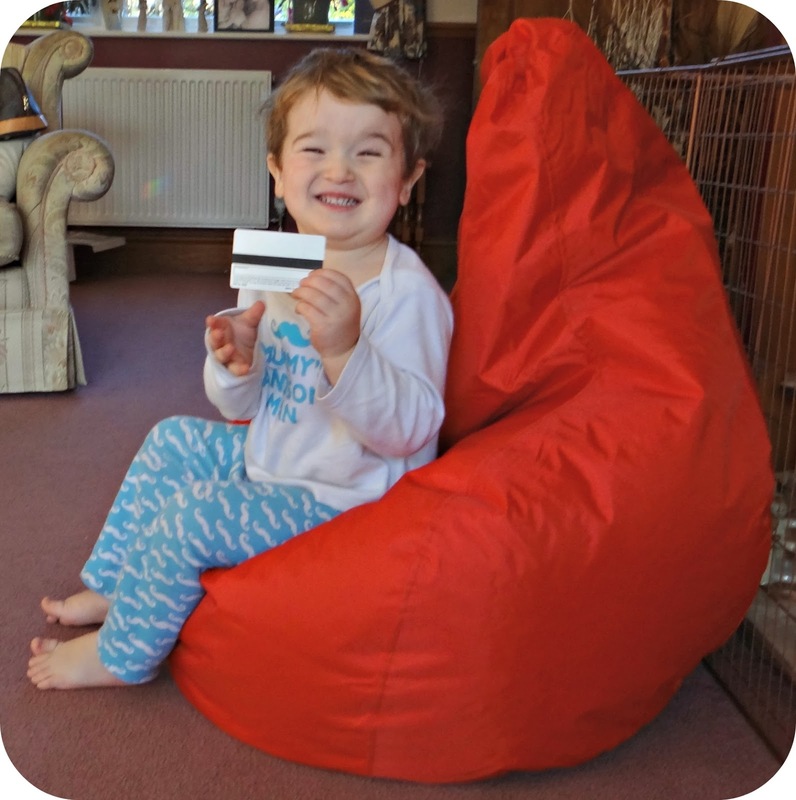 The Kid's Bean Bag Pod retails at £34.99 and is brilliant value for money, especially for the quality that you receive. 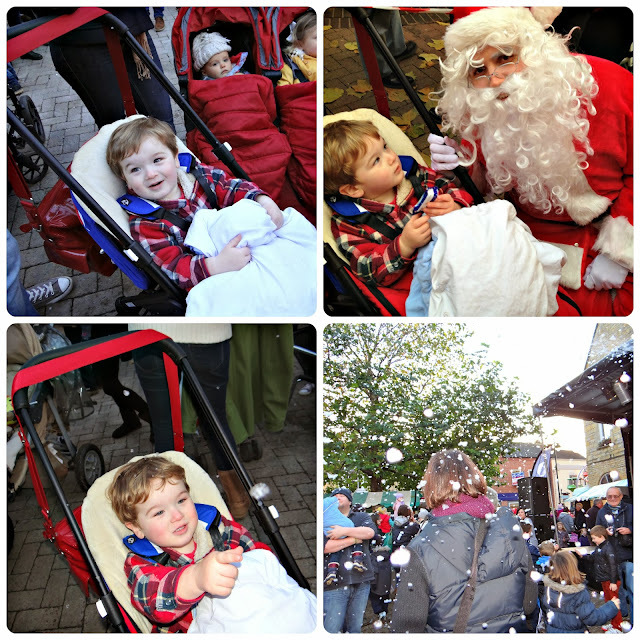 Considering a Bean Bag Bazaar Bean Bag this Christmas? - Snuggle up on the bean bag to watch the obligatory Christmas day family movie! - The polystyrene beads inside mould to the shape of the body and also have insulating properties - making the bean bag the comfiest and cosiest seat in the house this Christmas. 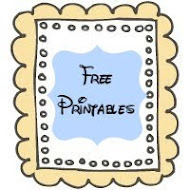 - BeanBagBazaar’s products contain Fire Retardant EPS (Expanded Polystyrene) Virgin Polystyrene Beads and all covers and filling meet the UK Furniture and Furnishings Fire Safety Regulations BS5852. 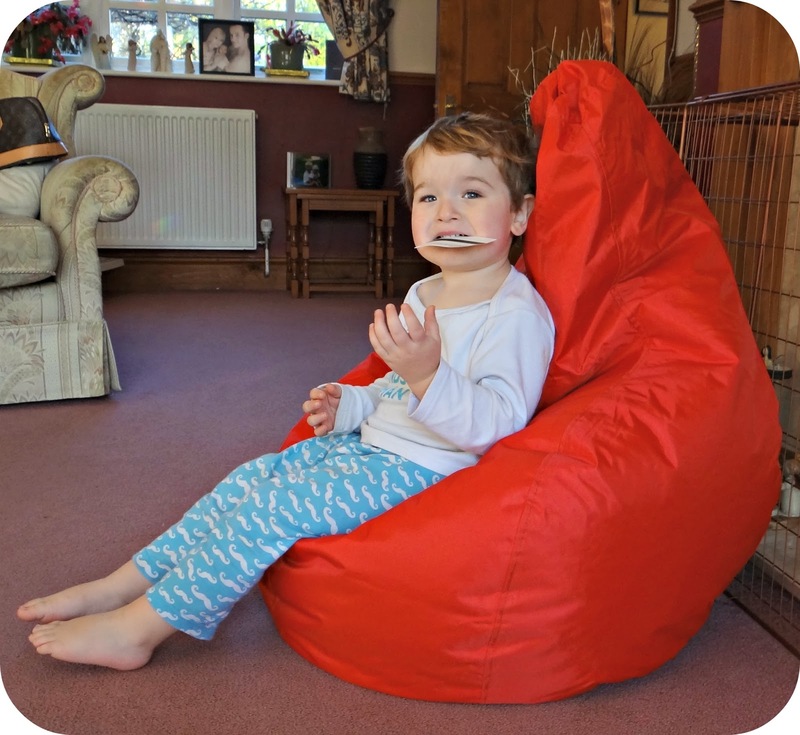 - All of their products are either double or triple stitched with an internal and external zip to ensure security – you’ll never see a BeanBagBazaar bean bag splitting! N.B external zip is also concealed to prevent scratches on floors. 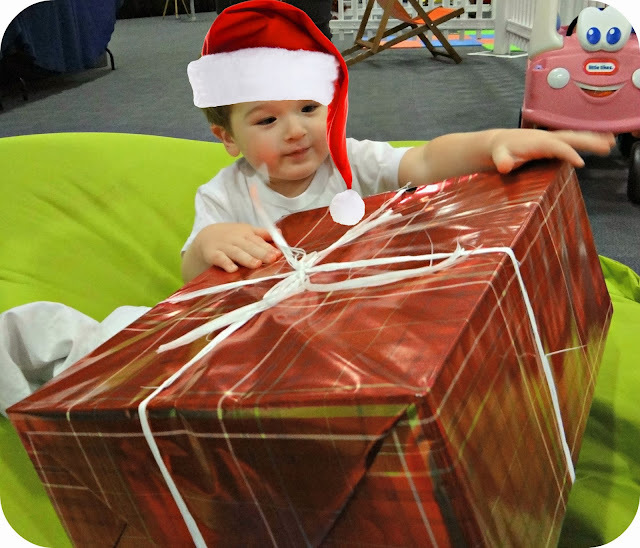 Now here is your chance to get your hands on a very funky kids bean bag just in time for Christmas. It would make a super gift idea for one of the kids! 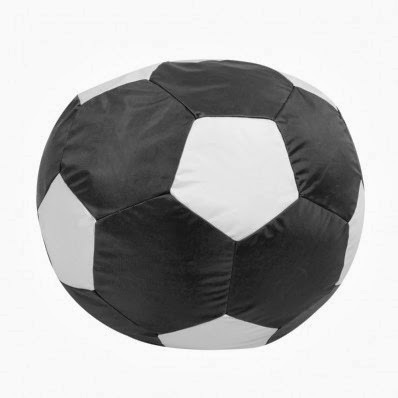 How would you like to get your hands on this Football Bean Bag worth £29.99!? 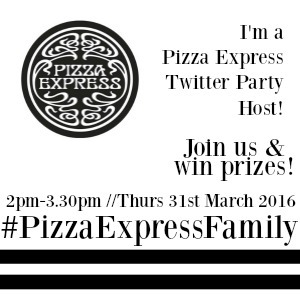 All you have to do to be in with a chance of winning is follow the Rafflecopter form below. 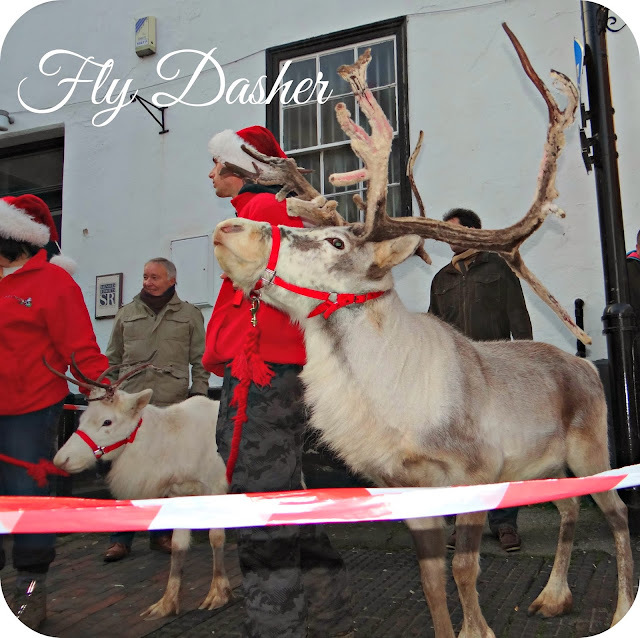 The giveaway ends on the 10th December 2013. I am not liable for late delivery or no show of the prize. 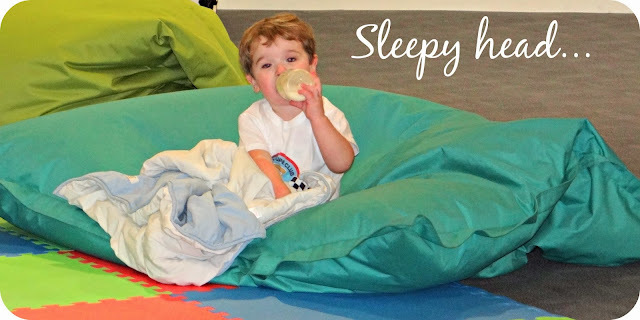 Disclaimer: I was sent the Bean Bag Bazaar Kids Pod for the purpose of this review. 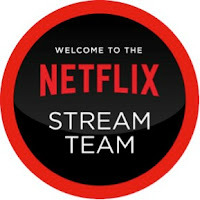 All views and opinions expressed are completely honest and my own.